Meet Alex Armstrong, new pastor and lifelong city dweller, who has just accepted his first parish assignment, a small parish in the wilds of North Dakota. Hilltop Township, a farming community, blooms from the prairie like a wild pink rose lovely and prickly, much like the quirky residents. 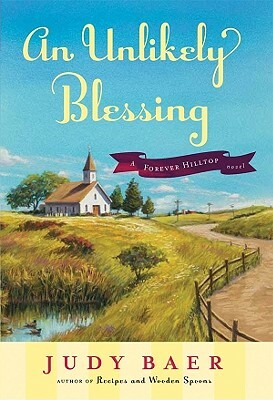 Pastor Alex quickly learns that this lovely place is in peril; many of the farmers are struggling to make ends meet. As he settles into life on the prairie, he begins to experience a lot of new things like the annual Hunter's Breakfast, julebukking (also called Christmas fooling), and King Oscar's fish balls. Not to mention the excitement the single pastor creates among the unmarried women in the community! Alex soon discovers that his new church home has as much to teach him and he will teach them, providing all with An Unlikely Blessing!